Besides booking fingerprinted and booked, you will have to go to some kind of DUI school. Not only do these take time out of your life, but they also cost to go to. Here, you will be taught alcohol awareness and the effects of drinking and driving. These classes are all taken with other people that have committed the same crime as you. Once this is reported to your insurance, it will dramatically increase the price of your insurance and in some cases, they may drop you all together. It will be very hard to find someone who will cover you after that, as you are a liability to them now. start your car; they also cost to have installed and rent the device. Overall, it is very expensive to get a DUI. It will change your life forever, so it’s better to not do it at all. If you are found in this situation call Ammediate Bail Bonds at (321) 631-2663 and we will be able to help you. Posted in Uncategorized on February 13, 2018 at 9:51 pm by Ammediate Bail Bonds. Bail Terms: What Is A Warrant Walk-Through? Last month we discussed a legal term known as contempt of court. This month we will discuss a bail term known as a warrant walk-through. 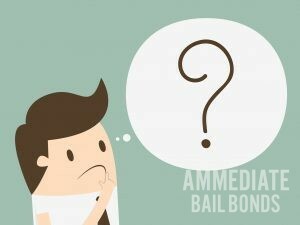 This is just one of the many services that we offer here at Ammediate Bail Bonds, and only a surprisingly small number of people know that this is an option at all! So if you have an outstanding warrant, and you aren’t sure what to do, this article is for you! Exercise Your Right To A Warrant Walk-Through! What is A Warrant Walk-Through? Warrants are scary, particularly if you aren’t guilty of any crime. The best thing to do is to turn yourself into the police, but you don’t need to do it alone. A warrant walk-through is when you enlist the assistance of your lawyer and your bail bondsman to turn yourself into the police. With this service, you go through all of the normal processing procedures, except at the end, your bail bondsman pays your bail, and you can go home, instead of going to a jail cell. Why Do You Need Lawyer? Your lawyer is there to make sure your rights are protected through every step of the process. By calling your lawyer ahead of time, you allow them to get all of the details of your warrant, so that you can share any relevant details with your bail bondsman. As a team, the walk-through process is quick, easy, and painless! If you’re interested in requesting a warrant walk-through in Cocoa, FL and the nearby cities, give us a call today at (321) 631-2663 to get started! Posted in Uncategorized on January 9, 2018 at 5:28 pm by Ammediate Bail Bonds. Legal Terms: What Is Contempt Of Court? Preparing for Your Trial Is A Great Way To Help Your Hearing Goes Smoothly. If you or a loved one have been placed under arrest for the first time, the whole process can be very overwhelming. In this situation, the best bet is to remain calm, and call a bail bondsman at (321) 631-2663 as soon as you or your family member are eligible to post bail. We are happy to help you through every part of the bail process, so that you can get back to what’s important: preparing yourself for your trial. There is a lot to keep in mind before your trial as well, and sometimes the judicial jargon can be overwhelming as well. Today we will discuss a common term in court, contempt of court. Contempt of court is any action that prevents the court from fulfilling its purpose, or any action that disrespects the court’s authority. There are tow common types of contempt of court, civil and criminal. Being held in contempt of court can lead to jail time, as well as heavy fines, so it is important to always be cooperative and level-headed during your trial. Civil contempt of court typically refers to situations outside of the courtroom. For example, if the court orders you to pay child support, and you do not pay that child support, you can be held in civil contempt of court. Criminal contempt of court is more commonly seen depicted in movies and TV shows. Criminal contempt includes activities such as yelling at the judge, speaking off topic, distracting from the hearing, and so on. Generally speaking, criminal contempt happens within the courtroom, but there are situations it can occur outside the courtroom as well. Posted in Uncategorized on December 5, 2017 at 9:47 pm by Ammediate Bail Bonds. 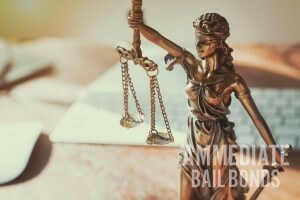 How Do I Choose The Right Bail Bondsman? If you or a loved one have been arrested, it can be a very frightening experience, and you may not know where to look or who to turn to. 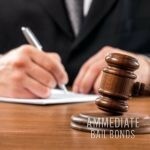 While you may know to look for bail bonds for assistance with bail, do you know how to choose a bondsman you can trust? 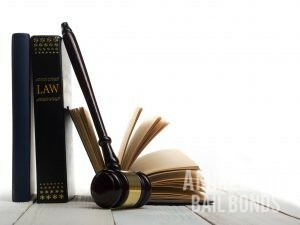 Today we will go over a few simple qualities you should look for in a bail bondsman, so you can get out of jail faster, and with less stress on yourself or your family. In Brevard County, you can find plenty of bail bondsmen, but not all of them are trustworthy. One of the first things you can do before you even call the company you have in mind, is to check the State Department Of Insurance database. Reliable bail bondsman will be licensed in the state, so you should be able to find their company listed on that site. You can search by their name, or by the license number they give you. Additionally, a quality bondsman will be available to you 24/7. No matter what time or what day, you should be able to count on your bail agent to meet you at the jail and walk you through the bail process when you call. Keep in mind, if a bail bondsman approaches you when you are in jail, and offers services when you have asked for none, this is unethical, and generally illegal in most states. Only speak with bail bondsmen that you have contacted first. Last but not least, you’re going to want a bondsman with a lot of experience in your state. 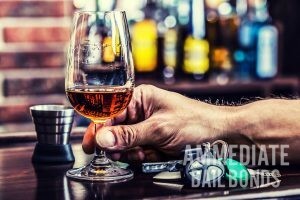 So when you need a bail bondsman with quality values and years of expertise in Palm Bay, FL, you can count on the experts at Ammediate Bail Bonds. 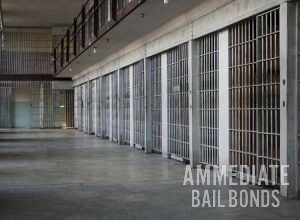 Ammediate Bail Bonds. Call us today at (321) 631-2663 to learn more or to get started! Posted in Uncategorized on October 30, 2017 at 1:38 pm by Ammediate Bail Bonds. There are Different Types of Warrants You Should Know About. While it might not seem like knowing the different types of warrants could help you, this is simply not true. When it comes to the law, Brevard County, FL. citizens should know what certain warrants mean. Knowing your rights and the laws is never a big idea and could end up helping you or a loved one. There are many types of warrants, but there are three common ones that you should know and understand. This is one of the most common types of warrants. An arrest warrant is when an officer of the law is able to arrest a certain person. An arrest warrant is authorized by a judge or a magistrate; in order to issue an arrest warrant, there must be probable cause that a crime was committed and that said a person, who the warrant is issued for, is the individual who committed the crime. This type of warrant gives a police officer the right to search a property. A judge will issue a search warrant if they think there is probable cause that a crime has been committed on a particular property and that certain evidence is there. While the fourth amendment protects individuals from illegal searches, a search warrant is legal, and the property can be searched without the individual’s permission. When a person does not show up for their court date, they will usually be issued a bench warrant. If a person does not appear on their scheduled court date, they can be seen as in contempt of court. With a bench warrant issued by a judge, police officers are free to locate and bring the individual to court. If you have recently been arrested and need bail bond services in Brevard County, FL., call Ammediate Bail Bonds at (321) 631-2663. Posted in Uncategorized on September 27, 2017 at 1:38 pm by Ammediate Bail Bonds. If you violate your probation and get it revoked, you will head back to jail. If you received probation for a crime, then congratulations. Rather than serve out your sentence behind bars, you have the opportunity to live and work in society. Of course, probation comes with many requirements. If you fail to uphold your end of the bargain, you might get a probation violation. Worse yet, time on probation usually does not count toward your sentence. To make the most of probation, you’ll want to avoid the following violations. When you receive probation, you will find yourself assigned to a probation officer. This officer monitors your progress and holds a lot of sway over whether you get cited for a violation. In most cases, you’ll need to meet face-to-face with your officer once a month. Missing these appointments can become a big deal, especially if you do not have a valid reason. Your sentence likely contains the responsibility of certain fees and fines. These could include restitution, probation fees, and general fines. As you report to probation, you will have the requirement to pay a certain amount of these fees each month. If you miss too many payments, you can expect a violation. Practically everyone on probation will get randomly tested for substance use. If you land on probation for a DUI, you will also get tested for alcohol. Any positive result for these substances could win you a violation. Since some substances can stay in your system for weeks, it’s best to just stay clean while on probation. While the preceding represent the most common reasons for probation violation, you could also get revoked for unauthorized travel and association with unsavory characters. Of course, if you commit other crimes while on probation, it will not sit well with your probation officer. If you or someone you know has suffered a probation violation in Brevard County, FL, call Ammediate Bail Bonds at (321) 631-2663. Posted in Uncategorized on June 21, 2017 at 8:27 pm by Ammediate Bail Bonds. There Are a Few Things Can Happen When Someone Skips Bail. When it comes to our loved ones, we want to do everything in our power to ensure they are always ok. If they happen to get arrested and they need your help, bail bonds are a great solution. However, there is times someone skips bail and it can affect not only them but also the person that helped them out. This is what happens when someone skips bail. When your friend or family member fails to appear in court on their scheduled date, the court has the power to forfeit the bail. This means that the bail bond company that you went through can ask the Indemnitor, or the signer of the bond, to pay the bail bond in full. Skipping bail does not mean the defendant is released from their charges. On the contrary, they will continue to be charged for the crime that the committed. When someone skips bail, it is a very serious offense. Depending on the severity of the crime, a defendant can be charged with a felony crime for skipping bail. It is the judges power to put a warrant out for their arrest for contempt of court. When the defendant skips bail, it is up to the bail bondsman to find the defendant. Sometimes a bail bonds company will hire a bounty hunter to track down a defendant and bring them back to jail. If you need bail bond services in Cocoa, FL, please give Ammediate Bail Bonds a call at (321) 631-2663. Posted in Uncategorized on June 22, 2017 at 9:03 pm by Ammediate Bail Bonds. When going out with some friends, you may want to enjoy yourself and have a few drinks. However, there is a major concern: Drinking and driving. Drinking and driving yourself can lead to DUI charges and arrests. DUIs may be considered a misdemeanor the first time you are charged, but quickly become felonies if they are a repeated offense. What steps can you take to enjoy your time with friends and avoid DUIs? While we are not going to tell you not to drink, the first thing we always suggest is moderation. There are some other steps you may take in order to avoid getting a DUI. What sort of get-together is it? Are you at a friends house or are you going out on the town? These sort of plans can help you and your friends make an action plan to control how the night goes. This can both help you have fun and help you control how much you drink and where. Check your schedules. Does someone have work early in the morning? Is there a person who would rather not drink that night? Try to assign a DD for your adventure. While it may not be the most fun job, it is a huge step on your path to having a safe, DUI-free evening. If a DD cannot be designated, then the next step is to decide on a mode of transportation. Uber, Lyft, and taxi services are easily accessible via a quick call or tap of the app. You can even split the bill with your group to make it fair for everyone. Sometimes the safest choice is to book a room or stay the night at one of your friends’ homes. Before you start your night, see if any of your friends can provide board for the evening. This keeps everyone safe and even lets you continue the fun once you arrive at the house. Follow these steps for a safe and fun evening. Sometimes, bad things happen and you could end up facing a DUI charge. If that’s the case, call (321) 631-BOND fo Ammediate Bail Bonds in Cocoa, FL! Posted in Uncategorized on June 22, 2017 at 9:01 pm by Ammediate Bail Bonds. Choosing a Defense Attorney Is Important For How Your Case Is Handled. When you are facing legal trouble, there is one thing you know you need as quickly as possible: A Lawyer. Your first instinct may be to use the internet and call the first defense attorney that pops up in a search. However, there is more to choosing the right attorney for your case. While it is important that you get a lawyer as soon as possible, take the time to assess the lawyer thoroughly before hiring them. Here are a few questions you may want to ask before securing your defense attorney. #1 What Sort of Law Do They Practice? There are many different types of lawyers with specific skill sets and areas they excel in. Focusing only on defense attorneys, there are federal and state level lawyers. Some of them specialize in big business, others in personal defense. From there, a lawyer can have a preferred field of law and defense. Be sure to review their website thoroughly to garner what kind of defense attorney they may be and if they are specialized for your case. #2 Can You Have A Free Consultation With Them? It is always a good idea to try and meet with a potential lawyer before signing them on. Meeting them face to face can tell you more information than their website may have. At a sit-down, you can discuss your case, fees, any bail you may have paid or need to pay, and so on. With the information you learn at this meeting, you can decide if this lawyer is the right one for you. When you hear the word local, you may think it refers to nearby you. However, when choosing a defense attorney, you want an individual who is local to the area you are being charged in. So, for example, if you are from Cocoa, FL, but there is a case against you in Port St John, FL, you should look for a defense attorney in that area. Not only does this give a home team advantage for the lawyer, it gives you an advantage as your lawyer will be able to navigate you through how that court works and any procedures they may follow. #4 Can You Work With This Defense Attorney? This may sound unimportant, however, the ability to work with your defense attorney is paramount. This is a person you are trusting to defend you in a court of law against charges. After your consultation, you should be able to determine if you and your defense attorney can work cohesively and professionally together. Before you start on the road to your defense attorney, you need your freedom to pursue your case. 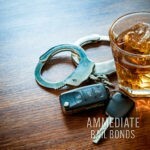 Ammediate Bail Bonds provides bondsman services for you in Cocoa, FL. Give us a call today at (321) 631-2663 to get started today! Posted in Uncategorized on June 22, 2017 at 9:02 pm by Ammediate Bail Bonds. Can You Leave Town While Out on Bail? Whether you travel for work or a family situation arises, it is important to make sure you have permission to leave the city or state when you are out on bail. By using bail to leave the jail early you agree to show up at court for your hearing. Depending on the circumstances of your arrest, leaving the city or state may not be an option until after you’ve attended the hearing. You have to get written permission to leave the city or state. Leaving without authorization can land you in more trouble. Discuss the situation with the court to get granted permission to leave. Contact your bail bondsman as well to ensure that leaving the area does not break the contract you signed with them. Even with permission to travel, make sure it will not conflict with your scheduled court date. Missing the hearing will result in your bail being revoked and you will have to return to jail. It can also result in fines and additional penalties being added to your current charges. If leaving the area could result in missing your court date, it’s better to wait and make different arrangements if possible so you don’t have to worry about the consequences of skipping bail. 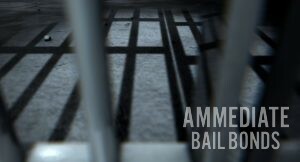 If you need bail assistance in the Brevard County, FL area, contact Ammediate Bail Bonds. Our bail bond agents are available 24/7 so you or a loved one can get out of jail quickly. Give us a call at (321) 631-2663 to find out more.